From last post with black line. Oh geez! 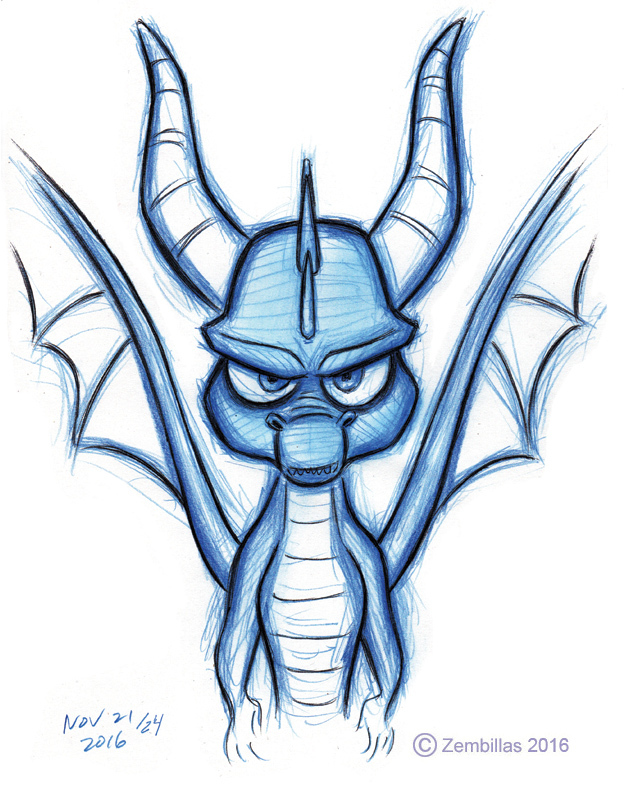 More Spyro to make me feel better again today! Your art is literally makiing me smile right now and I just can't stop! Spyro looks so cute in the first two and then you topped it off with a very tough Spyro. He looks determined! Do ypu have any characters that you made that you stoll have today? I would love to see them of you do. So today in my writing class we was suppose to write who would we swap places with and why. Guess who I chose? You! I'm not aure why but you were the only one who came to mind: you make me smile when I see your art, the fact that your determined to post on here to make others happy... If I was like that I'm sure I wouldn't be feeling the way I do now. So I want to say thank you for making me smile when I'm happy and when I feel down. *You are filled with determination. 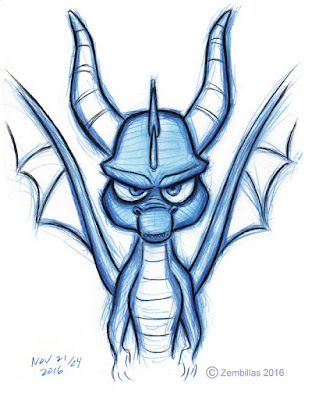 I love the drawings of Spyro the Dragon they are amazing did you work on all three Spyro games?. Since Crash is now back hopefully this might trigger a revival of Spyro and a remaster of Spyros first three games. Not to forget Stewart Copelands brilliant music as well. Amazing Spyro drawings. second one my favorite. All the drawings are all ways full of life and expressive. Maybe I should try and draw Spryo some time. Shucks guys I don't know what to say other than thanks for your great comments. I'm glad you're enjoying the art. 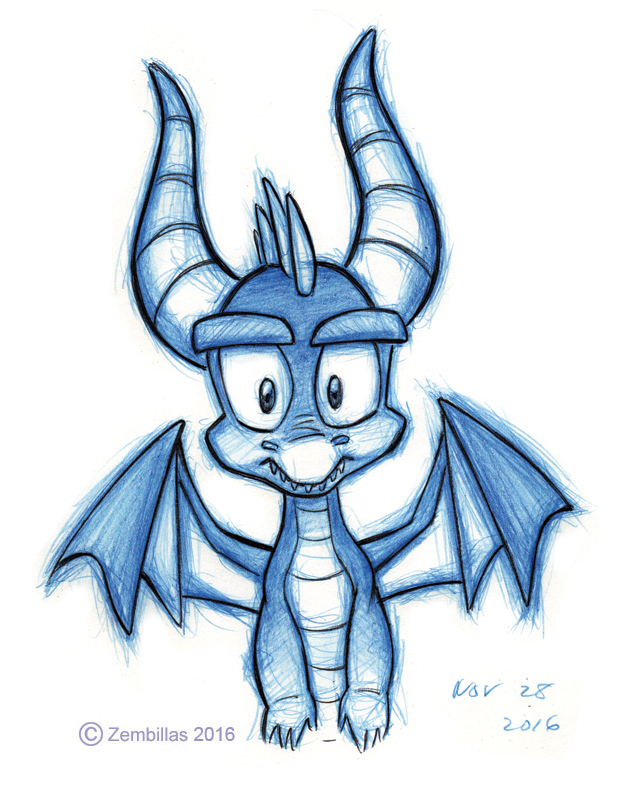 I enjoy drawing Spyro as he is special to me. We're gonna give him some extra love in the days ahead as January 2017 marks the 20th anniversary of when I started to work with Insomniac to create the character. 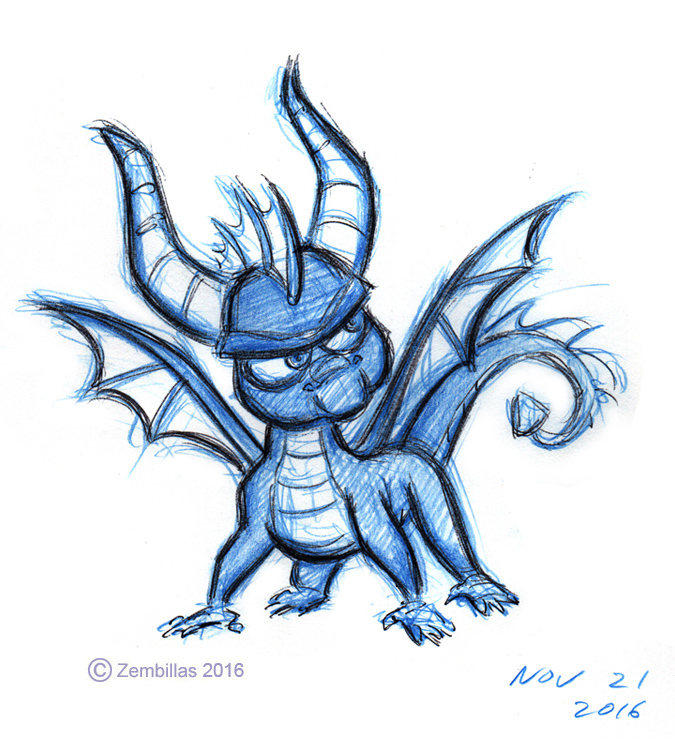 Stephen I worked on the original Spyro game and did a little work on the second one. That's the extent of my involvement. I would've liked to have participated in more but Insomniac wanted to do it with their own people after that. Hazman why not go ahead and draw Spyro. Have fun and see what you come up with. Vanilla Latte I'm happy that you're happy. You are very kind with what you said. Good luck to you and I hope you stay cheerful. Wow Charles, I'm loving these! Especially the first one, which is so, so cute, and the tough third one. The one from your previous post looks even better now, with the more refined, black lines. What size of paper are you drawing these on? Thank you RubberRabbit. They're on letter size paper (8 1/2 x 11 inches - about 21.5 x 28 centimeters). I used Col-erase blue pencil which is a standard drawing pencil in animation and the black line is a simple ball point pen. Alright, thanks for replying! Now I want to draw some. You are very kind with your comments RubberRabbit. Thank you. 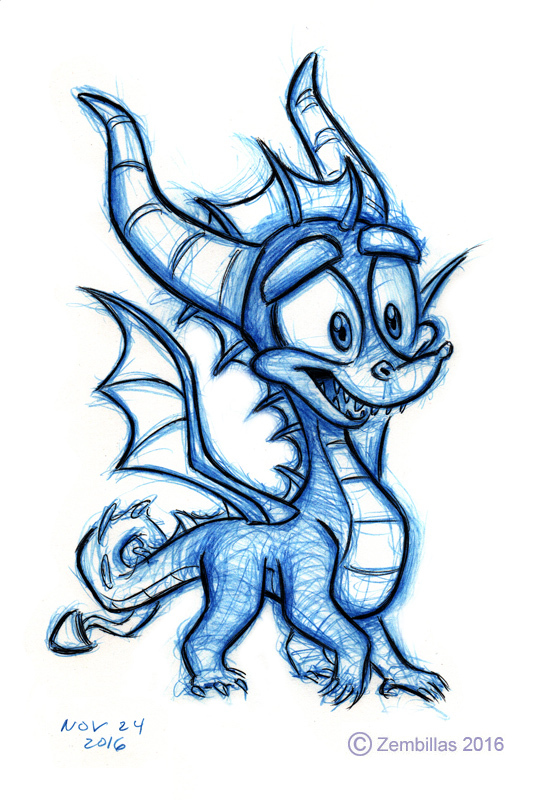 I have more fresh Spyro art I'm working on that I'll be posting soon. Charles. After all these years it's an honor to finally be able to talk to you. You're the whole reason I started drawing in the first place. Crash Bandicoot was the first thing I ever drew than Spyro. I'm pursuing a career in animation all because of you so I just wanted to thank you. Spyro, Crash, Jak and all the others are very special to me. If you ever get a chance, do you think you could look at my art? Hi Adam Gipson. Sorry for the long delay in replying to your comments. I've been extremely busy and have not had a chance to attend to my blog. Finally getting around to it after several weeks. Your message is humbling and I'm happy to know that you've been influenced by my work. I'll be happy to review your art. Best to get it online and provide a link. If that's not possible we'll work out something else. Good luck and I wish you much success with your creativity!